The Zodiac MX6 is compact in size, yet demonstrates a powerful and efficient clean. The MX6 has great manoeuvrability and provides total pool coverage through patented smart technology. FREE Delivery & Removal as well as Price Matching*! Best value is guaranteed when you buy the Zen Sauna MS-SA-Z2P-AU 2 Person Infrared Sauna from Appliances Online. Trusted by over 350000 customers - Appliances Online Legendary Service! FREE Delivery & Removal as well as Price Matching*! 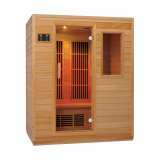 Best value is guaranteed when you buy the Zen Sauna MS-SA-Z3P-AU 3 Person Infrared Sauna from Appliances Online. Trusted by over 350000 customers - Appliances Online Legendary Service! The Zodiac Tornax TX20 is the manifestation of the mantra ""Efficiency, pure and simple"". It is a simple efficient and reliable robotic pool cleaner.